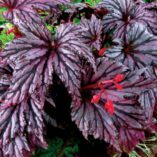 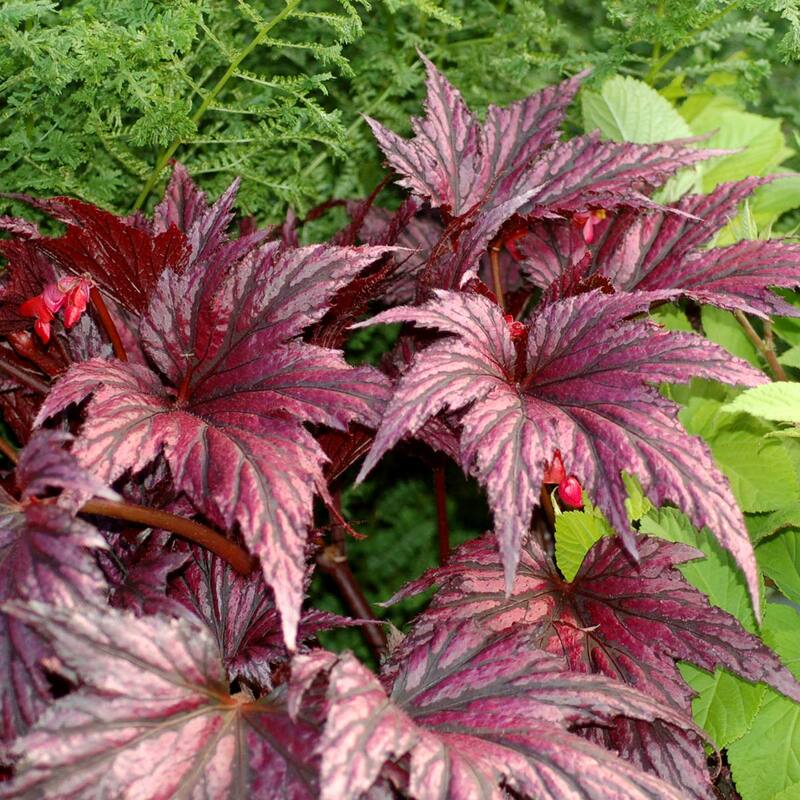 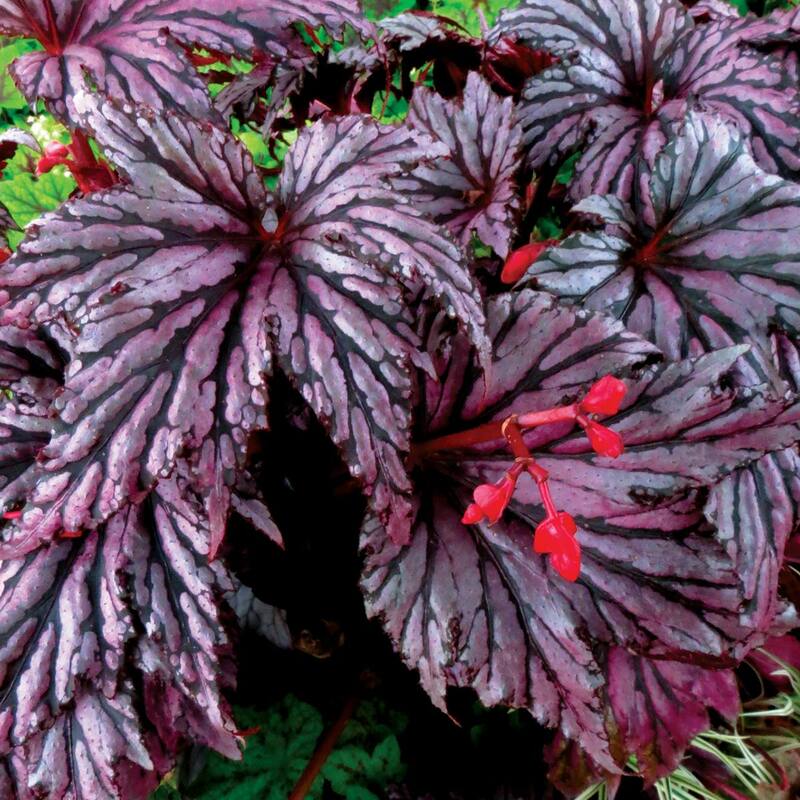 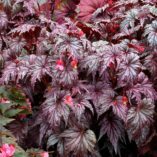 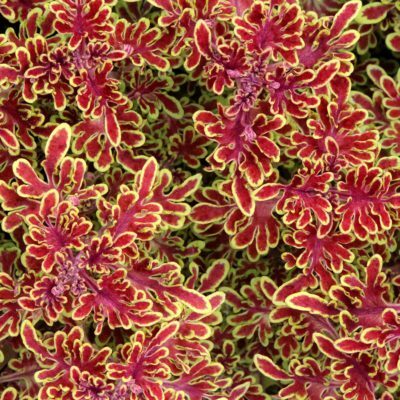 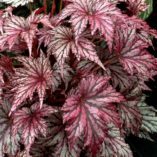 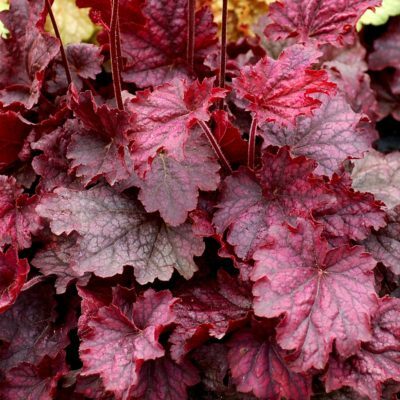 Begonia ‘Garden Angel Plum’ | TERRA NOVA® Nurseries, Inc.
Gorgeous, rich, plummy-red violet leaves fill out this plant, top to bottom. 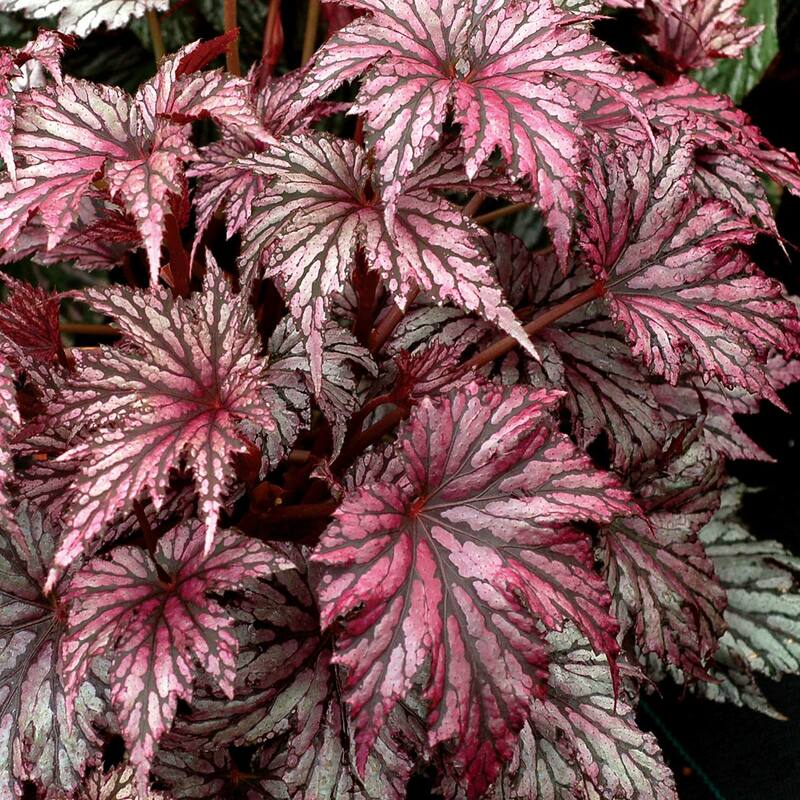 This is the largest of the three in the GARDEN ANGEL™ Series and a garden star for sure. 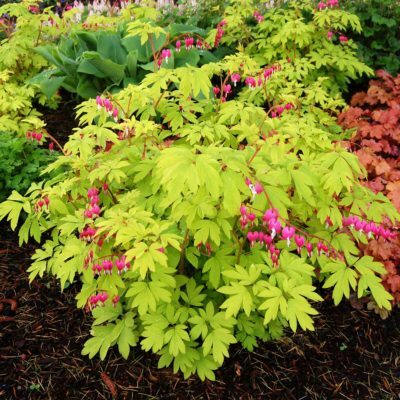 Each shrub-like plant has many stems and is husky and self supporting. 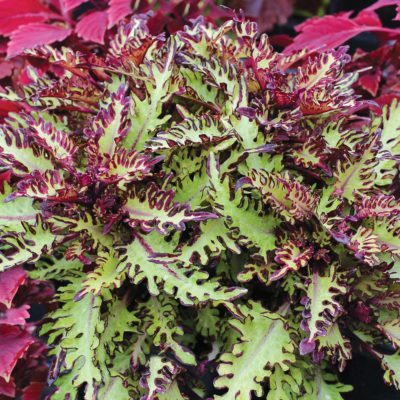 It'll reach about 24″ tall and wide the first year you plant it. 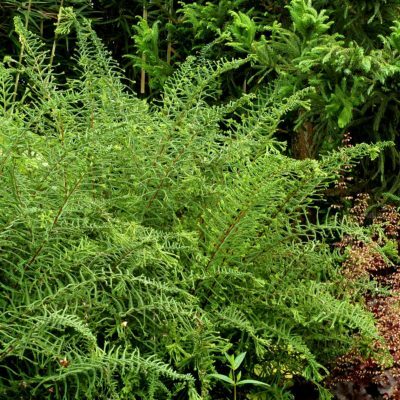 'Garden Angel Plum' is outstanding as a solitary plant in the garden or container and a great foil for silver foliaged ferns. 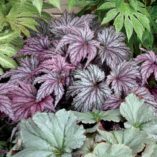 30" / 24" / 30"
Hardy to zone 7 with palmate Rex-like foliage. 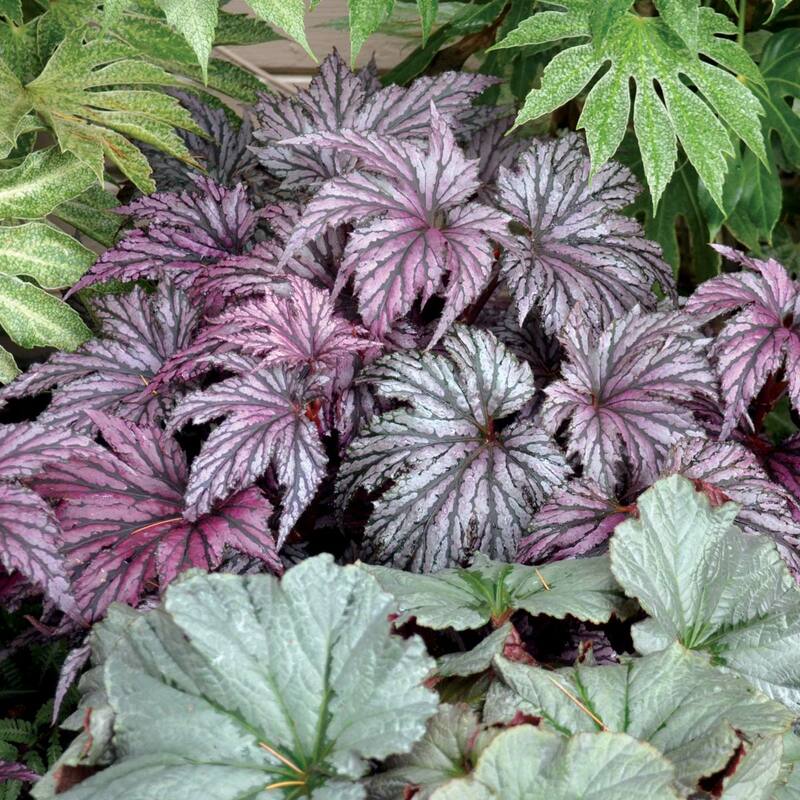 Compared to B. evansiana it is more colorful and has palmate rather than sagitate leaves. Background, container, houseplant. 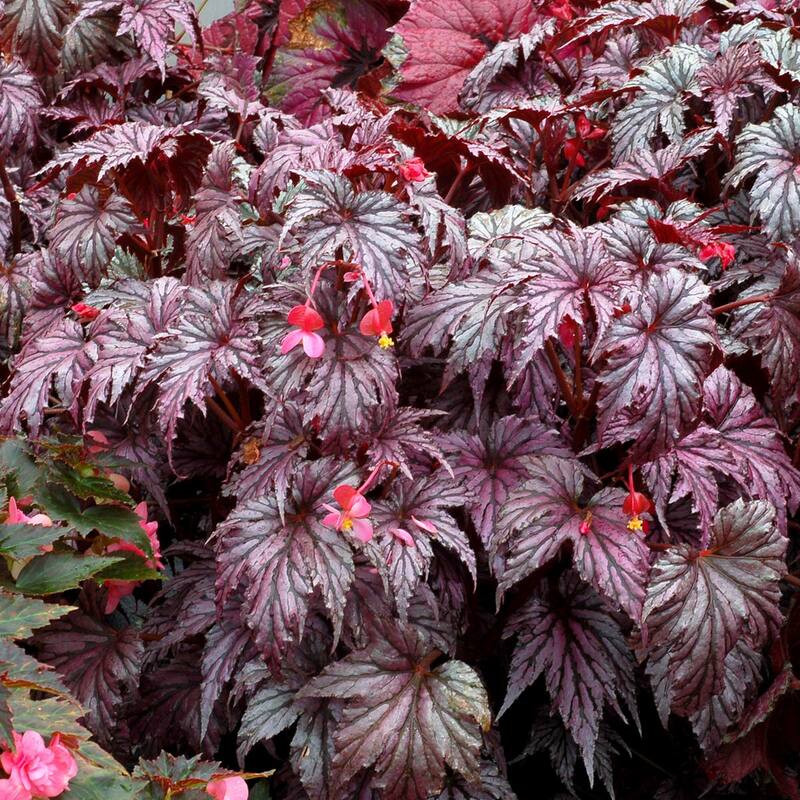 Good landscape plant for border filler.